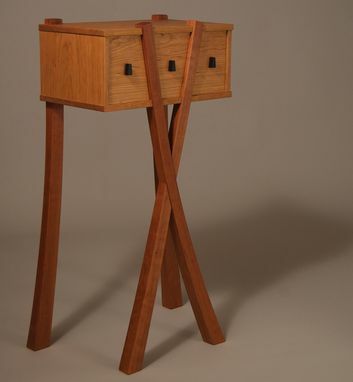 Small console table with three drawers. The compound curved and splayed legs are inset into the case piece with housed half lap joints. From the top, the legs appear to have grown up and through the case. 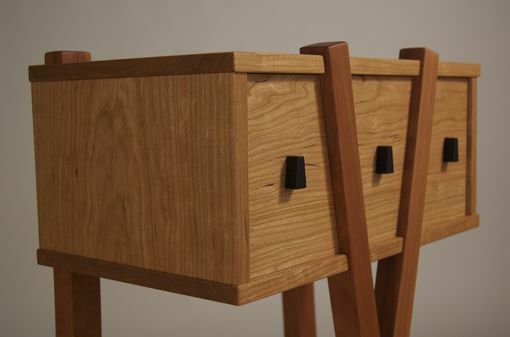 The front legs define the shape of the three drawers. A single cherry board was used for the case and drawer fronts while another, darker cherry board was selected for the legs. The drawer pulls are hand carved ebony.